If you are a collector of rare United States coins, it is in your best interest to have a qualified expert on your team. Regardless of your level of passion for or knowledge of the coin markets, there is so much to know that having an expert in your corner gives you a much needed edge and added enjoyment when building your collection. Within the realm of rare United States coins, Dr. Mike Fuljenz is one of today’s very top experts. There are literally tens of thousands of different types and grades of coins available. With an expert specialist assisting you in sorting through the vast body of numismatic details, you could save precious time, travel, energy, security worries and money. If you are looking for an expert you can trust, Dr. Mike Fuljenz’s long standing, award-winning track record of success makes him the perfect choice. Dr. Mike Fuljenz continuously adds to the body of information and research available on every single coin we recommend. Dr. Mike’s award-winning contributions to the body of knowledge and analysis available to collectors and dealers on the history and market conditions of the coins we recommend is, quite simply, without peer. He has received four (4) Investment Book of the Year awards from the prestigious Numismatic Literary Guild, including a 2010 award for his newest book, Indian Gold Coins of the 20th Century. Since their first publication, thousands of copies of each of these books have been placed directly in the hands of active collectors and dealers, which creates and energizes awareness and demand. Promoting increased collector demand and long-term popularity for a specific product is the essence of being a market maker. 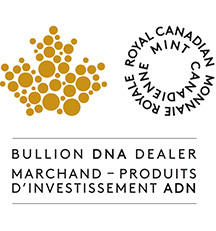 To build a coin collection of high quality and potential long-term appeal, contact our experienced team of professionals to find out how to become a Select Four program client. There are limited positions available at each level, so call toll free at 800.336.1630 today. 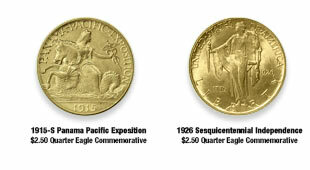 The Type II and Type III Liberty Double Eagles are among the most popular, and in some select cases some of the most rare, of all United States gold coins. The Type II $20 Liberty Double Eagles (1866-1876) have the distinction of being the first United States $20 gold coins to bear the motto: “In God We Trust.” About 95% of the originally issued Type II Liberty Double Eagles have been melted down. Certified Type II $20 Liberty Double Eagles are many times more rare than Type III Liberty Double Eagles in certified population reports. Additionally, Type II $20 Liberty Double Eagles are substantially more rare than the popular $20 Saint-Gaudens in certified mint state condition. In 1877, a minor design change to the reverse’s dollar denomination resulted in the Type III Liberty Double Eagles (1877-1907) being created. Among all Type II and Type III Double Eagles, some of the most rare are the ones minted at the Carson City Mint. In recent years, the heavily marketed release of the Type I Double Eagle hoard of coins recovered from the shipwrecked S.S. Central America stimulated awareness and demand for some of the comparatively more rare Type II and Type III Double Eagles, which sent prices trending higher. Additionally, tens of thousands of Dr. Mike Fuljenz’s books on Type II and Type III Double Eagles, both of which received “Investment Book of the Year” awards from the Numismatic Literary Guild, have been placed directly in the hands of dealers and collectors, expanding the collector base and further galvanizing demand. Call your Account Representative to find out which of these historic coins is most likely to see future price increases. Acting now could save you money in completing your collection. The second area in our Select Four comprises four Indian Head gold coins minted periodically from 1854-1933. The coins recommended in this area are the $3 Indian Princess, the $10 Indian Eagle, the $5 Indian Half Eagle and the $2.50 Indian Quarter Eagle. The Indian Quarter and Half Eagles were the only two of the four to feature the same design. Within the scope of United States coin collecting, especially in higher grade conditions, the $3 Indian Princess and the $5 Indian Eagle are considered “stopper” coins among collectors to completing the popular 12-piece gold type set. Because of their relative rarity, the absence of these coins potentially can “stop” a collector from completing a collection. The Indian Quarter and Half Eagle coins are the only ones in United States history to feature “incuse” devices (sunken rather than raised) on the coin’s design, which has made these coins consistently popular among collectors. To learn more about adding U.S. Indian Head gold coins to your collection, call your Account Representative, while prices are still reasonable for specimens of the key dates among these historic coins. 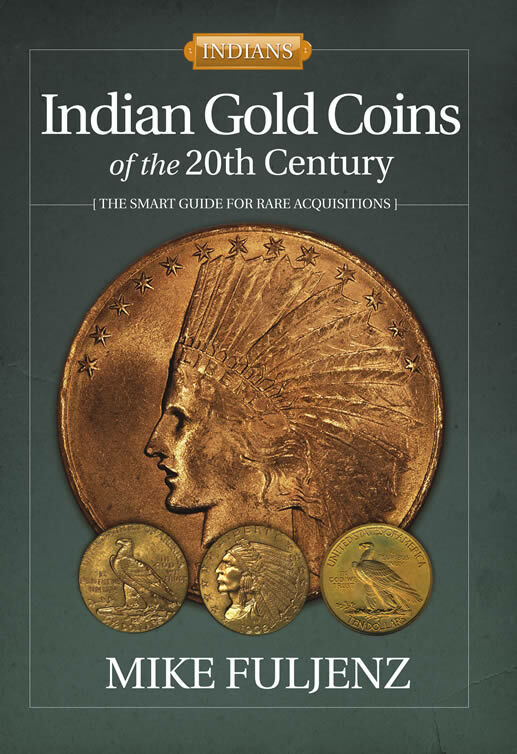 Be sure to ask how you can obtain a copy of Dr. Mike Fuljenz's new award-winning book, Indian Gold Coins of the 20th Century, featuring $2.50, $5 and $10 Indian gold coins. In 1933, President Franklin Roosevelt suspended all United States gold coin production. In 1986, more than fifty years later, President Ronald Reagan authorized the United States Mint to once again begin producing non-commemorative legal tender gold coins and the American Eagle family of coins was born. 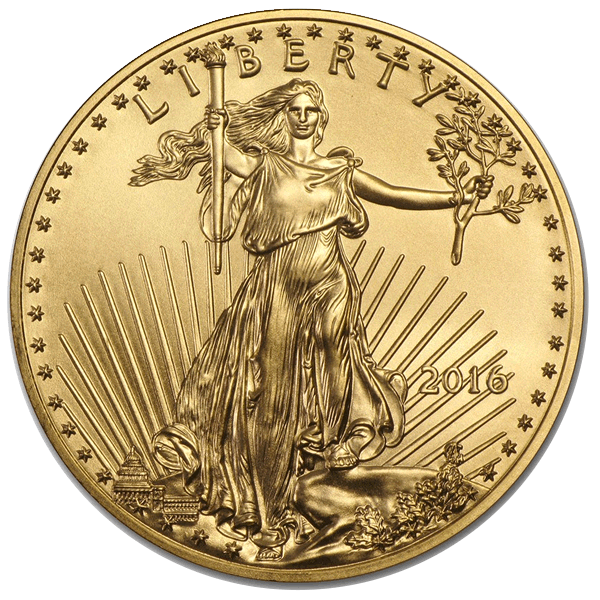 As the first $25 gold coin ever minted in United States history, the $25 Gold Eagle is a cornerstone coin among Select Four recommendations. Virtually every single year since they were first minted, the U.S. Mint has typically minted fewer $25 Gold Eagles than the other gold coins in the series. As a result, the $25 Gold Eagle has already distinguished itself among collectors as a “modern day rarity.” For more information on which select $25 American Gold Eagles you should priority target for acquisition, contact your account representative today. Get the proven trust and experience of our Chief Numismatic Consultant Dr. Mike Fuljenz. With nearly 40 years in the numismatic field, he is an award-winning author and noted gold expert; he is also considered one of the world's authorities on coin grading and the rare gold coin market. Our market makes efforts and innovating book distribution strategies create ongoing education, awareness, and demand for Select Four coin types among collectors and investors today supporting the desirability of your collection for your heirs and the collectors of tomorrow. The artistically acclaimed Gold Eagles are essential to any estate collection of U.S. legal tender coins. 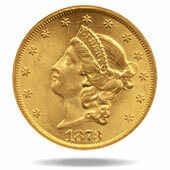 For many collectors, the $25 Gold Eagle is the key coin, having the lowest total mintage almost every year since 1986. Having a portfolio buying team in your cornerensures that you get advance word on important high-quality coind as they become available which could save you big money on a vital coin purchase while helpig you fill those tough holes in your sets or collection. With an expert in your corner, you'll learn the "inside track" strategies that have served our customers nationwide in building premier collections and completing sets, while acquiring some of the rarest, select Liberty Double Eagles, Indian gold coins and Commemorative gold coins available today.